QMobile introduces once again reliable Smartphone product for its valued buyers throughout the World. It is an amazing product has launched by Q-Mobile along with multiple quality features. This is an exceptional Smartphone with affordable rates and it is providing all latest Smartphone features in this hand-set. It is Android hand-set along with Quad-Core 1.3 GHz speedy processor. It is also giving option for using dual SIM in this hand-set for using two SIMS in single time. A camera option is also very amazing in this hand-set and users can avail 5.0 mega pixels rear and VGA front camera option in this hand-set. Q-Mobile always introduces Smartphone with reasonable rates and it has launched this hand-set with cheap price. 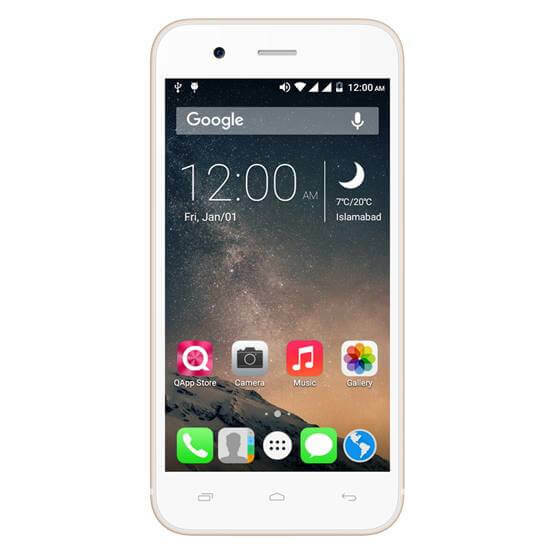 There are many cellular operators are available who want to buy Smartphone with cheap price now this is possible you can easily buy this product and avail all latest Smartphone option this launched Q-Mobile i2. It is also providing all common incentives of Smartphone in this product and users can avail Wi-Fi and 3G internet facility after buying this product. The astonishing feature has added in this product it is providing long-lasting battery option in this mobile phone and users don’t face any kind of battery issue while using it cellular phone. Bluetooth, FM-Radio, GPRS, WLAN and various features are also available in this hand-set. The details of different specification of this hand-set are also mentioned as below. Rear Camera: 5.0 Mega pixels (Touch-Focus). Display Colors: 16M Colors, capacitive touch screen display. Ringtones: Polyphonic ringtones, Mp3, Downloadable, Sound-recording. Audio: MP3, FM-Radio, 3.5mm audio jack, WAV Players, Other media players. Messages: SMS, MMS, Email, IM, Push-Mail. Other Features: GPS Support, A-GPS Support, Google Maps, Speaker-Phone, Long-lasting battery. Latest Features: Multi-touch display screen, sleek body structure, G-sensor, Proximity sensor, Video/Audio viewer, External storage SD up to 32GB.